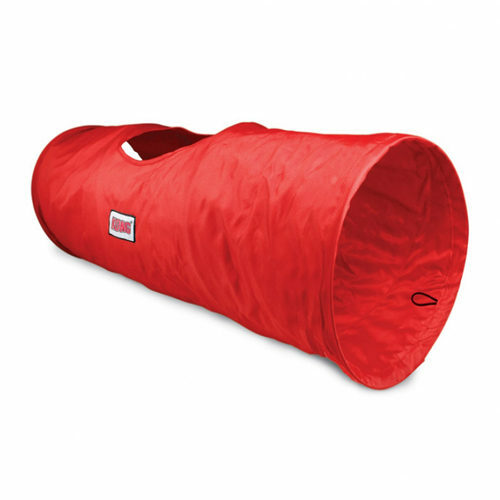 KONG Cat - Tunnel is a fun cat toy that your cat is sure to enjoy. This tunnel has three different entrances, allowing your cat to explore the tunnel in various ways. What's more, the tunnel makes a crispy noise when your cat walks past it. This will trigger your cat to continue playing. KONG Cat - Tunnel is a fun and challenging toy for your house tiger. This cat tunnel has three different entrances. Your cat will never get bored with this tunnel. This tunnel also makes a fun crispy noise when your cat walks through it. This stimulates your cat to continue playing. Is your cat done playing? This toy tunnel is easy to fold up, so it won't take up too much space. Have you used KONG Cat - Tunnel before? Let us know what you think about this product.